Aesthetics is a branch of philosophy that explores and studies the nature and form of beauty, along with the creation and appreciation of beauty. An Esthetician is a skin care specialist, that has been formally educated and trained in skin health and beauty. To become an Esthetician, one must obtain a specific amount of credit hours, typically around 600. Educational requirements, rules and regulations do vary by state. After graduating, an Esthetician will need to pass state board exams, which include a written and practical exam, to obtain a license. An Esthetician may work in a salon, spa, private studio, on location, med-spa or in a medical practice such as dermatology or plastic surgery. An Esthetician may also work as a makeup artist, as an educator or in sales. Many Estheticians obtain additional degrees, certifications or training. This may include things like laser certification, cosmetic tattooing, lash extensions, electrolysis, massage therapy, nursing, oncology esthetics, and holistic approaches. Estheticians typical provide treatments such as facials, chemical peels, hair removal, makeup application and some body treatments. Estheticians may also be referred to as a facialist, because they specialize in facials. Estheticians are the go-to people when choosing skin care products, they study ingredients and skin care products extensively and can create a complete skin care regime appropriate for your skin. Although an Esthetician is trained to recognize some skin conditions, they do not diagnose or treat medical skin conditions. Many skin lesions closely resemble each other and need to be diagnosed by a dermatologist. Conditions like eczema, psoriasis, allergies or skin cancers, require medical attention. Esthetician and Aesthetician may be used interchangeably and both are correct, however the spelling on a license may differ by state. In Arizona, my license reads “Aesthetics” while my text book is Esthetician. Generally, the Esthetician spelling is used when describing someone who works in a spa environment, while Aesthetician is used to describe someone who works in a medical environment. There is no solid rule on which spelling must be used, both are correct. The term “Holistic Esthetician” is not recognized by the State Board of Cosmotology as a specific license, it does however describe an Esthetician who uses a holistic approach, emphasizing the importance of the whole person, including mind, body and spirit. Holistic esthetics is typically associated with treatments and remedies that are more natural or integrative alternative therapies. Holistic Estheticians usually work with products that contain natural and/or organic ingredient. Some schools offer specific holistic-based esthetician training programs, however there is little difference compared to a general esthetician training, so many Estheticians opt for post graduate holistic eduction and may even obtain a Holistic Skincare Practitioner Certification. There are plenty of Estheticians who do not specifically identify themselves as a holistic provider, but incorporate some holistic approaches. 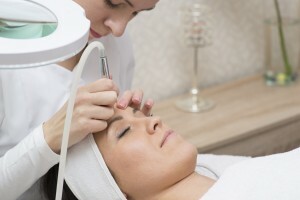 An Aesthetician that works in a medical environment may have additional training or certifications, they may be referred to as a Medical Aesthetician, Paramedical or Clinical Aesthetician, Master Aesthetician or Aesthetician, CLT (Certified Laser Technician) or CMLT (Certified Medical Laser Technician). Although the terms Medical Aesthetician and Paramedical Aesthetician are used to describe an Aesthetician who works in a medical setting, these terms are usually not recognized by most state boards and do not necessarily guarantee that a provider has met any additional requirements. A “Master Aesthetician” is generally someone who has obtained additional training and credit hours to include laser treatments and aesthetic treatments typically offered in a medical setting. Some states like Utah offer a Master Aesthetic license after completing 1200 credit hours plus additional apprenticeship hours. The majority of states, including Arizona require formal training and additional credit hours to obtain a Laser Technician certification through the state Radiation Regulatory Agency. This requires a minimum amount of credit hours to include didactic and practical hands on training. Usually, specific training and additional hours are required for each modality added to your certification. Laser technicians must work under the supervision of a medical director. In California a laser technician must be an RN or PA and in New Jersey only a Medical Doctor may perform laser treatments. If you are considering a career in the aesthetic industry, research the requirements required by your state. Do a little self-reflection and consider what aspect of the aesthetic industry you feel most passionate about and what things you might want to avoid. For example, if you can’t handle the sight of blood you probably shouldn’t work for a plastic surgeon. If your a “Little Miss Chatterbox” like myself, you should avoid the tranquil day spa. Are you obsessed with make-up, does your heart drive you to work with cancer patients, do you take a holistic approach to life, are you a social media genius or do you have the talent to be an educator. Would you prefer to work in a luxury spa environment, a medical practice, work in management or work as a sales representative. Do you have the discipline to be self employed or the entrepreneur spirit it takes to open your own spa or create a new product. Maybe your a trail blazer, who will create your own niche in the market. Evaluate the job opportunities in your area and inquire about the qualifications employers look for. Not everyone who goes to esthetic school will find success in the industry, but there are ever-growing possibilities. Consider Anastasia Soare, a woman who came to America and took a “waxing job” as an Esthetician. From her brow-shaping method, she built the global beauty empire Anastasia Beverly Hills. Not all Estheticians collectively agree on the best products, treatments or approach, so you should look for an Esthetician that fits your personal goals. If it is important to you, to have an all natural approach, then look for an Esthetician that is like minded. If you want to relax and be pampered in tranquil ambiance, then you may prefer a day spa setting. If you are seeking corrective or more aggressive result focused treatments, then a med-spa or medical practice may fit you best. When selecting an Esthetician, be sure to ask about there experience and training. What ever your goals and personal style is, there is an Esthetician for you. This entry was posted on Sunday, July 9th, 2017 at 10:36 pm	and is filed under Professionals: Aesthetics & Beauty. You can follow any responses to this entry through the RSS 2.0 feed. You can leave a response, or trackback from your own site.